Drake has debuted an icy new colourway of his special “Stage Use” Nike Air Max Plus model during the latest stop of the ‘Aubrey & the Three Migos‘ Tour. 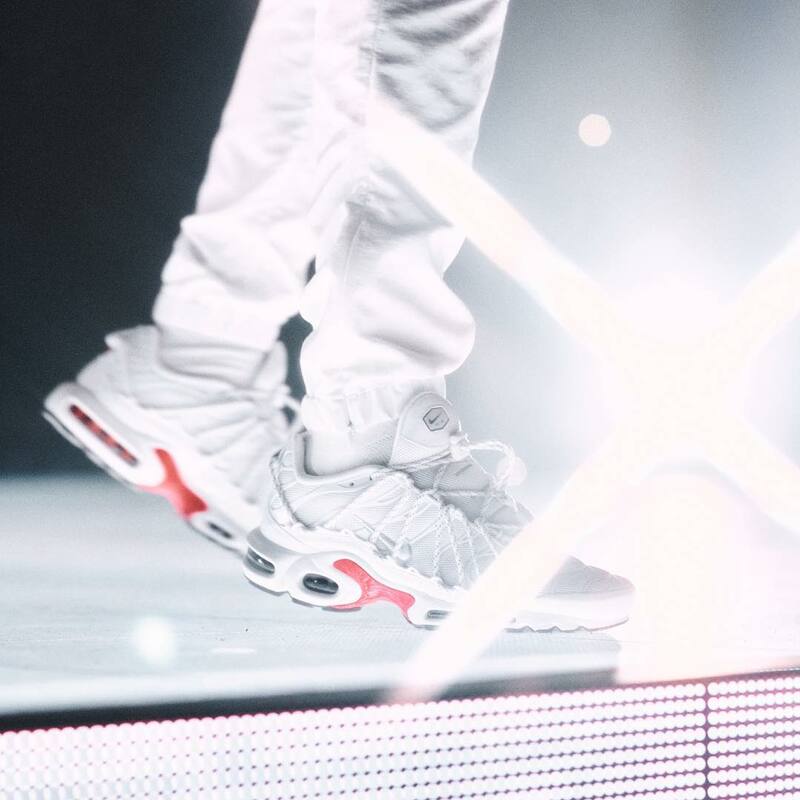 Performing at Vancouver, British Columbia Drake flexed the new white and red accented colourway, which comes complete with a clean white mesh base and matching Swoosh branding. Traditional lacing is replaced by a unique toggle design that wraps over the mainframe of the shoe, which also features an Air-assisted Air Max Plus sole unit and red torsion plate. Check out the sneaker below. Keep it locked to VERSUS for more information on the potential release and in other sneaker news, check out Daniel Sturridge’s new custom pair of England/Jamaica Air Force 1.